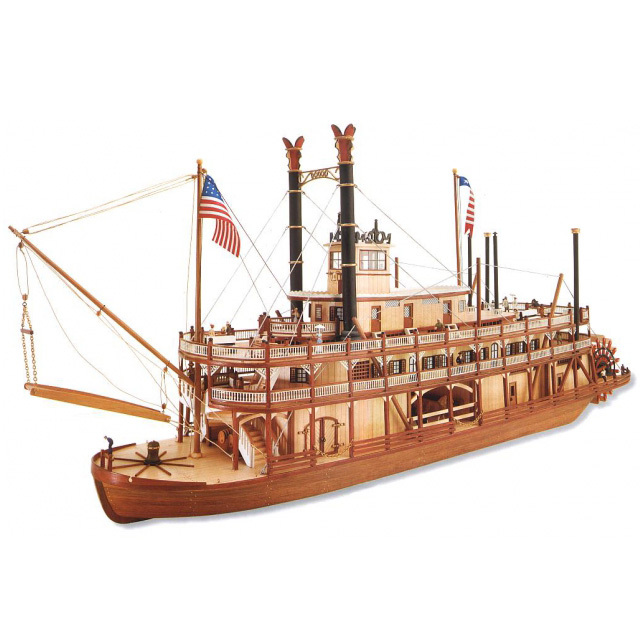 This authentic Mississippi Paddlewheel Steamboat reminds us of Mark Twain’s famous Tom Sawyer and Huckleberry Finn. They helped so shrink the vastness of America and as showboats, they made that vastness a little less lonely. Mark Twain would need to look twice at the King of the Mississippi to be sure it was just a model.